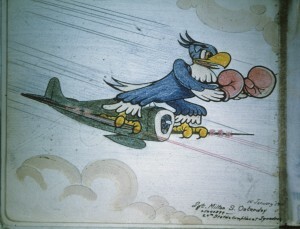 One of the lasting legacies of the men who served in the 8th USAAF was the use of art in war. 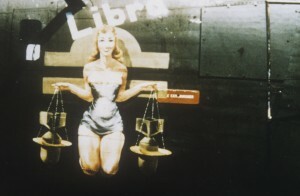 Murals adorned the walls and ceilings of nearly every American base across England. 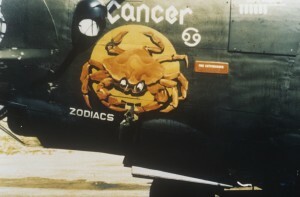 Practically every bomber and fighter plane had some sort of decoration added to it once it arrived at its final operational station. 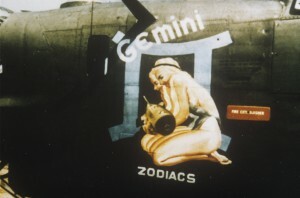 The most recognisable style of art associated with the 8th USAAF is that of nose art. 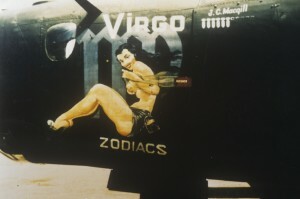 While some planes in the Luftwaffe and the RAF were adorned with art, the use of characters, insignias and pin-up girls on the sides of aircraft was most ubiquitously seen on American planes. 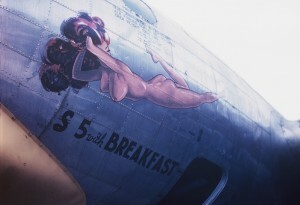 US Army commanders were quite tolerant of even the most scandalous image painted on their planes as they found it helped to keep morale up and spirits high. 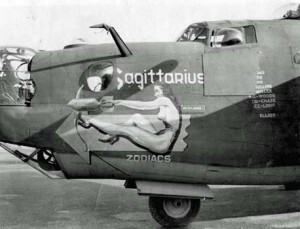 By 1943, with the American draft in full effect, many men from creative industries like advertising and sign painting found themselves serving as mechanics, technicians, gunners and pilots. 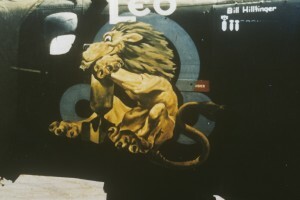 They used their talents to liven-up their living quarters and mess halls, decorate their flying jackets and document the day-to-day of life on base. 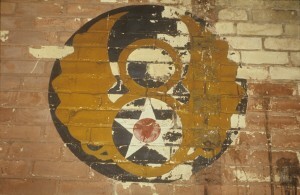 The servicemen expressed their thoughts, emotions, and frustrations in sketches, watercolours, doodles and cartoons. 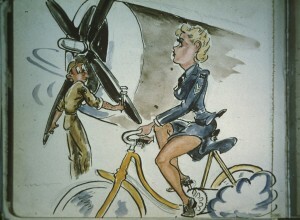 They found inspiration in popular magazines like YANK and ESQUIRE and illustrated their dream girls as they thought of what life would be like once they returned home.